Registration is OPEN for CABA Members, Non-CABA Members, Restaurants and Sponsors at this well attended event. Please bring your friends and family and visit us at this year's event! Please click HERE to download the complete vendor packet. 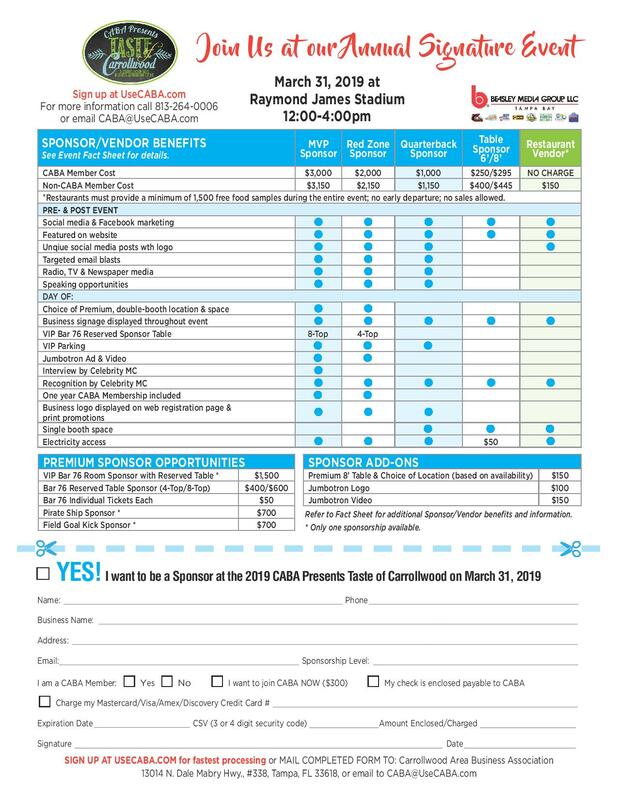 Free to the public, CABA Presents Taste of Carrollwood will be held on Sunday, March 31st, 2019, at Raymond James Stadium from 12:00 PM - 4:00 PM. Of the more than 350 business professionals who are members of CABA, many Carrollwood businesses will be on hand to educate the public about local products and services available to residents in Tampa and beyond.